Sponsored by Joseph B. Kelly, Lynn and Linda Landis, Reiterman Feed and Supply and Rinehart Continuous Gutter. “When you think 4-H, the name Kameron Rinehart pops up in our county and at the state level! His leadership skills are exceptional. His passion is 4-H! The combination of these two is the reason he has become known in Ohio 4-H with both young people and adults. Not only does he strive to succeed, but also to help move 4-H forward in a positive manner. A leader is someone who motivates others which Kameron has demonstrated over and over like convincing his peers to submit state 4-H achievement forms and helping them complete their forms even though they would be competing against him. This is an example of unselfish leadership. Kameron’s 4-H resume is impressive, but more important are those leadership skills that set him apart from most teens. Four words that best describe Kameron are responsible, driven, articulate and honest." Sponsored by Superior Farm Supply, Incorporated. "Outstanding 4-H teens exhibit diligence, advocacy, passion, and leadership in the activities they choose to participate in. The top 4-H teens should demonstrate attributes through their actions that will continue to serve themselves and their world for a lifetime. I believe Jacob Shuman is a great example of a 4-H teen that has maximized his opportunities. He seeks to learn from and then share his skills with others. Beyond traditional teen involvement, Jacob uses his 4-H background to pursue his interest in beekeeping. This niche has helped spur conversation around a vital and pressing hot topic in today’s world. 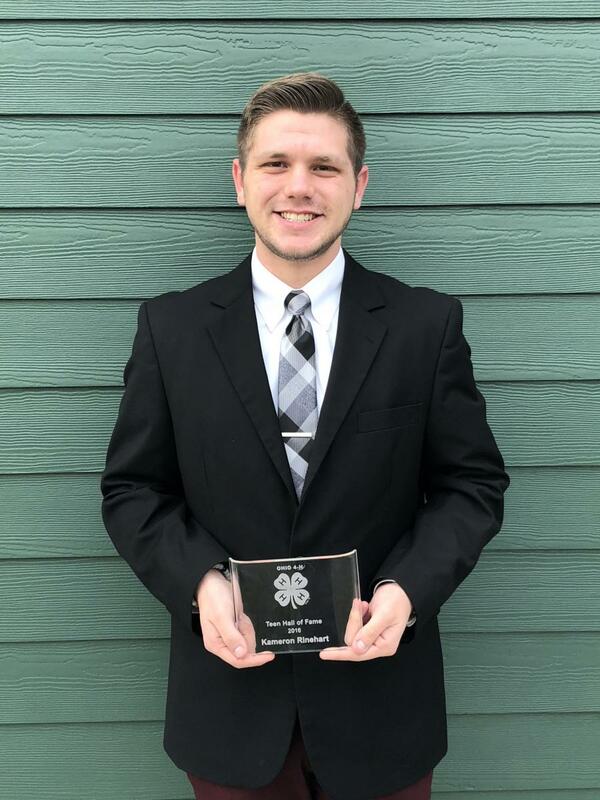 Jacob is actively utilizing his communication and leadership skills to influence his potential field of study at an early age; skills he developed and refined through 4-H. Jacob is a great example of a teen who works daily to implement the tools he’s learned through 4-H to make the best, better."